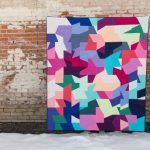 Last July after I finished my gorgeous, glorious, rainbow-tastic Bow Tie quilt, I had the idea to submit it as an idea for a pattern to Make Modern Magazine. I had been trying to be more bold in getting my ideas out there and the worst they could say was no (which they did not!!). 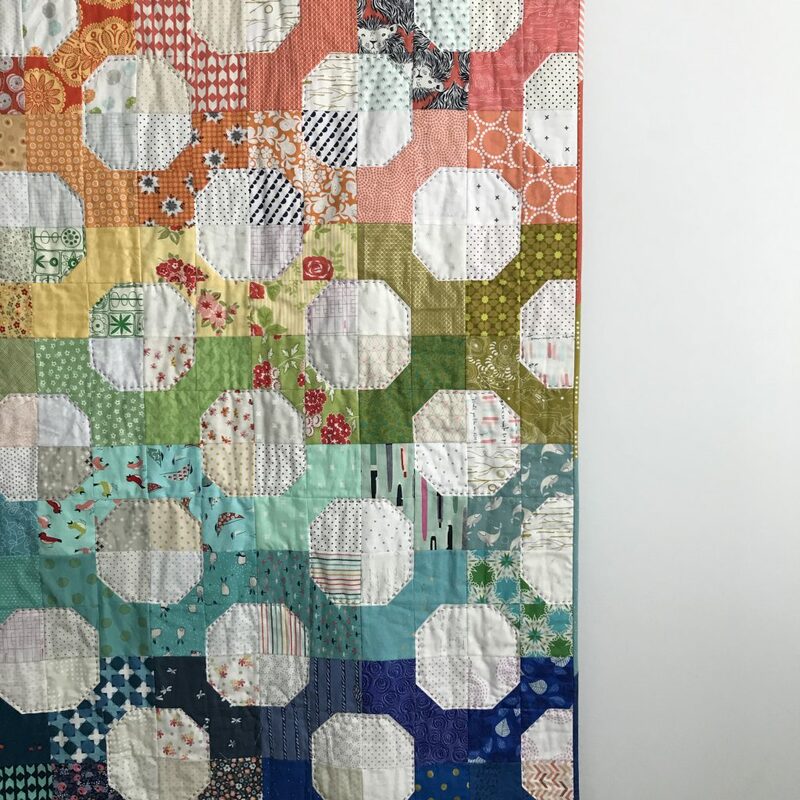 This beautiful quilt was made with the help of my BFF Birthday Bee mates, who made about 1/3 of the blocks of this quilt following my request for low volume (whether whisper quiet or I don’t have an inside voice low volume) and any color but brown for the print. They did such a stunning job. 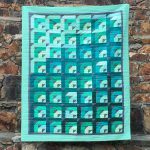 I filled in the rest of the blocks with prints from my stash to create this one of a kind quilt. 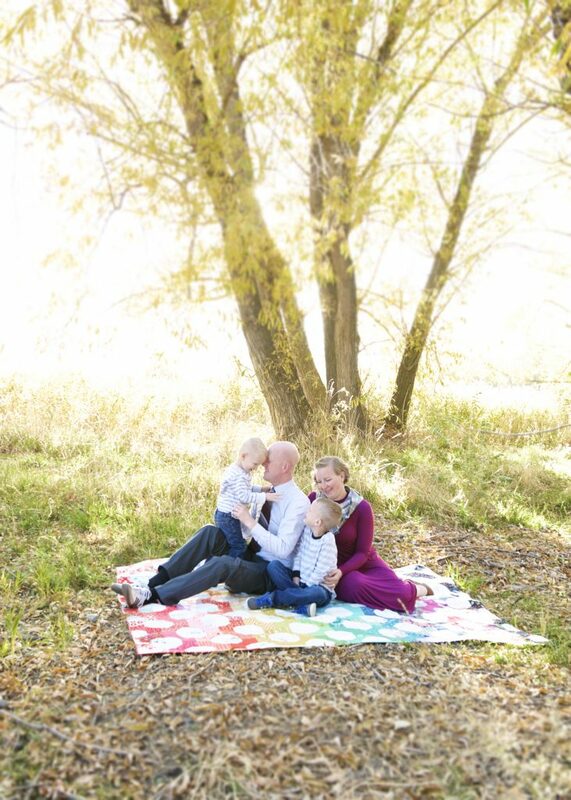 We love this quilt so much, we used it in our family photos taken last year. It adds just the perfect touch of personalization we were hoping for. 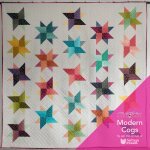 I also submitted an idea to Make Modern about writing an article about the impact of using just one, simple quilt block to create a stunning quilt. They liked that idea as well. 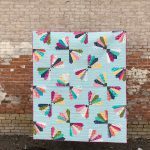 I am so happy to say that my article, One Block Wonder, as well as the pattern for this Epic Bow Tie quilt are both in issue 22! Last Friday I received the huge, surprise honor of seeing my quilt on the cover of the magazine when they posted it on Instagram. I never, ever imagined I’d ever make anything that was magazine cover worthy and I feel so humbled to have my quilt featured there. 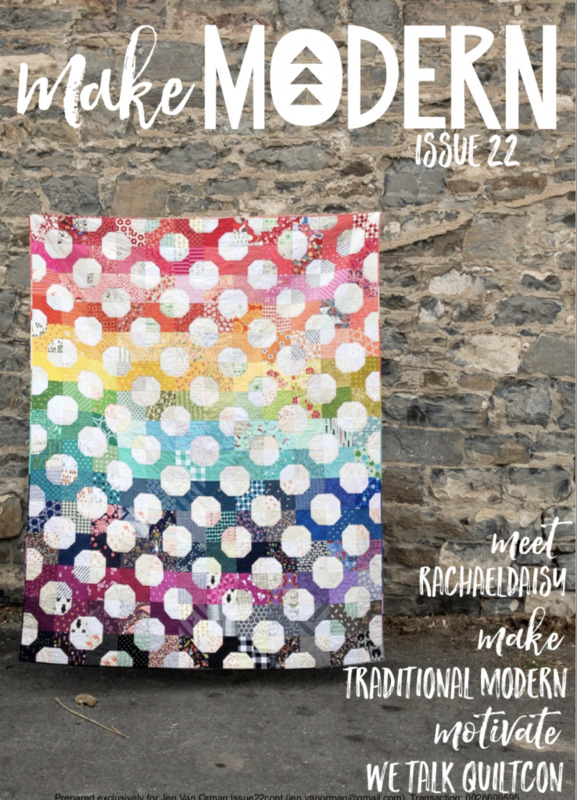 Head to www.makemodern.com.au to purchase issue 22 and if you do so before May 6th, use the code MM22 to bring the price to $6AUD. There are over 120 pages worth of amazingly inspiring things in this issue! The moral of the story is don’t be afraid to put yourself out there. 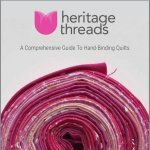 Sometimes the answer is no, but sometimes the answer is yes and you learn a lot during the process and realize you love writing quilt articles and patterns!! 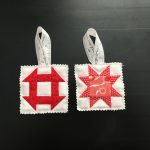 This entry was posted in Finished Quilts, Heritage Threads Features, Tutorials. Bookmark the permalink. Omg, that is such exciting news! Congratulations on putting yourself out there, and also for creating such a beautiful quilt!! Thank you so much! It was such a surprise! Hi Jen, Congrats on your quilt. I would never have thought that it was made of bowties. I’m going to give it a try since I promised a friend a neutral quilt and I need an easy but interesting pattern. I’ll let you know how it turns out! I also liked your article. You had some great ideas. Thank you so much, Andree! I appreciate the feedback and I can’t wait to hear how your quilt goes!